Neeta Lind: What year is this Seanie? You look 13.
miss.love: that's not sean, it's some woman… ha ha ha!!!! sean dreilinger: on the left is margaret thomas. 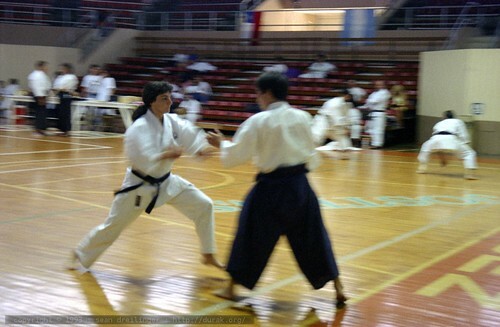 according to a little blurb in the back of black belt magazine, she won first place in women's sparring at that tournament. 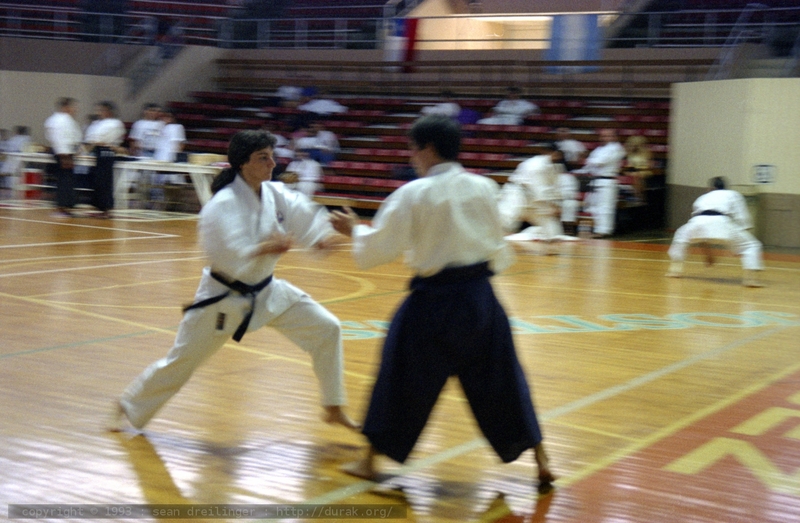 1993 ITKF 8th Pan-American Championships [46 photos] ITKF 8th Pan-American Championships held in Palacio de Recreación y Deportes, Mayagüez, Puerto Rico, October 1-2, 1993.